Bondo Kosiemo primary school was started in around 1950. The school is a catholic sponsored Institution. The school has 12 teaching staff in primary section and 2 teachers in ECDE section. The school also has 3 support staff members helping the school in security management and one serving as a cook. The school currently has 10 classrooms (8 for primary school pupils and 2 classrooms for the ECD pupils) and 1 office. The school has 357 pupils in primary section and 123 pupils in the pre – school (ECD) section. The partnership between the school and St. Camillus Dala Kiye started in the year 2011. Through this partnership and with the support of funds from We World Kenya Foundation, the school was supported with a number of education materials such as school uniforms for the orphaned children, revision text books, learners’ desks , hand washing tanks and waste management bins among a host of other services that were administered by the Dala Kiye staff. In the year 2017, the partnership with Dala Kiye and We World Kenya Foundation led to massive support in infrastructure improvement in the school. 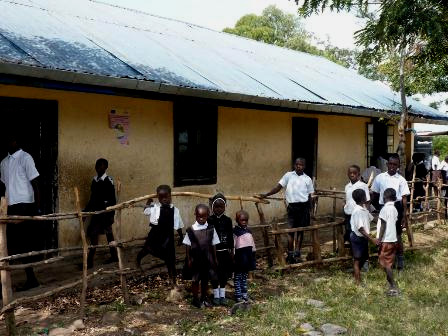 The school was supported to put up two blocks of Ventilation Improved Pit (VIP) Latrines. Each block had four doors. One block was for boys with the other block being for girls. The biggest initiative was however the renovation of 8 classrooms and 1 office in the school that has helped to improve to a greater extent the learning environment in the school. 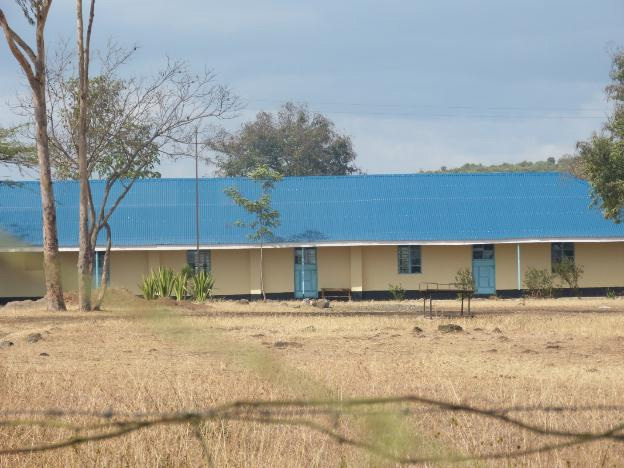 Initially the classrooms had worn out iron sheets and timbers, the floor had pot holes and were very dusty, there were numerous cracks on the walls and the doors and the windows were very rusty. The classroom veranda was dilapidated. The entire learning environment before the renovation posed a health risk to the learners and the teachers as a whole. The renovation work involved complete replacement of the entire roofing system of the 8 classrooms and 1 office(this involved removing the old timber and iron sheets and replacing them with new ones), wall re –enforcement, excavation of the old classroom floors and doing fresh floor plastering, fixing of steel doors and windows and painting of the entire block.